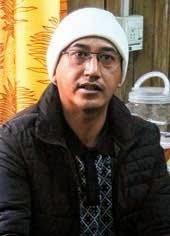 Mann Ghisingh, the newly elected president of the GNLF and the son of the party's founder, Subash Ghisingh, has decided to address his first public meeting in Kalimpong on April 5, where he has promised to speak his " heart out". Mann was made the president of the GNLF following Subash Ghisingh's demise on January 29. Subash Ghisingh had founded the GNLF on April 5, 1980, and the party has been celebrating its foundation day as "Gorkhaland Naamkaran Diwas," or "Gorkhaland naming day" for the past couple of years. Speaking over the phone, Mann said: "I have been invited to the public meeting as the chief guest and I will definitely attend it." Mann had never been active in politics till his father's death. Asked how he was feeling before his first public address, Mann said: "I will speak my heart out." Many believe the GNLF has been stressing the name Gorkhaland Naamkaran Diwas to highlight the fact that it was Subash Ghisingh who had first coined the statehood name, a demand which has been taken over by the Gorkha Janmukti Morcha after its formation on October 7, 2007. The GNLF has been saying the road to Gorkhaland is through the Sixth Schedule status for Darjeeling. At the moment, the party's stand is that until the Sixth Schedule status is conferred on the Darjeeling hills, the erstwhile DGHC should be restored. The GNLF, state government and the Centre had signed a memorandum of settlement on December 6, 2005, to grant the Sixth Schedule status to the hills. However, after the emergence of the Morcha in 2007 on the Gorkhaland plank, the issue was put on the backburner. Asked if he planned to change the party's stand vis-à-vis the Sixth Schedule status, Mann said: "I have a few things to say on April 5. I will speak about them then." The GNLF under the new president is trying to make the April 5 event a show of strength. The party units in different parts of the hills have been holding indoor meetings regularly to ensure a high turnout at the April 5 event. Mann Ghisingh, the newly elected president of the GNLF and the son of the party's founder, Subash Ghisingh, has decided to address his first public meeting in Kalimpong on April 5,party has been celebrating its foundation day as "Gorkhaland Naamkaran Diwas," or "Gorkhaland naming day" for the past couple of years.